We are once again hosting the Mopar Southern Classic in Clay City this year. Huge improvement since last year at the facility. Return road lights, lights everywhere really. Paving updates. Surface updated. New equipment, new bathrooms, tractor, sprayer, drag and employees. They are running big money bracket races there regularly and the track crew is head and shoulders above last year. Don't miss it. Great pay out and the track is an awesome nostalgic feeeling place that works well. Last edited by joshking440; 08/11/17 03:47 PM. How many SS/AH cars are coming? I figure most would go to Indy the week before. Maybe some will come south for another go if they don't break at Indy? Teuton is bringing 3 cars possibly 3 or 4 others. Will we be allowed to run more than one class with the same car/driver combo? (example, run footbrake and no box, foot brake in both, or run box and remove box and run no box?) Looking foreward to the new and improved Mopar ONLY show! Looking forward to this race. It was a ton of fun last year. NSS we'll be there. Last edited by SportF; 08/10/17 11:07 PM. Is this an 1/8 or 1/4 mile race? Box and KOS are 1/8 mile and all others should be 1/4 mile! I hope ya have a good turn out...Let us know a couple of weeks ahead of the event and we will pin it. I live in Lexington, plan to drive over. You should post an alert on the main board too, I didn't even realize they were having it this year until I wandered over here. May get a few more spectators and show cars. I hope they have light installed in the pits on the return road side now. Pitch black over there last year. Still enjoyed it a lot and plan to attend again this year. You still plan to have Kurt Johnson take care of the track cleanups? BTW If anybody has a great looking deck lid or hood for a 63 Plymouth B body you'd be looking to sell, drop me a PM. Ok HEMI Showdown cars ! It says Saturday only but we will add at least $1,500 Showdown on Sunday thanks to Southland Dodge !! Anyone that wants to add to any of the purses are very welcomed to! We will put it straight to the purse! Thanks to Southland Dodge again for the support of our Mopar Race!! Mopar racers this is the race that you need to be at!! No matter what we run now , The Original Richardson Boys started out with all Mopars !! Just sayin!! 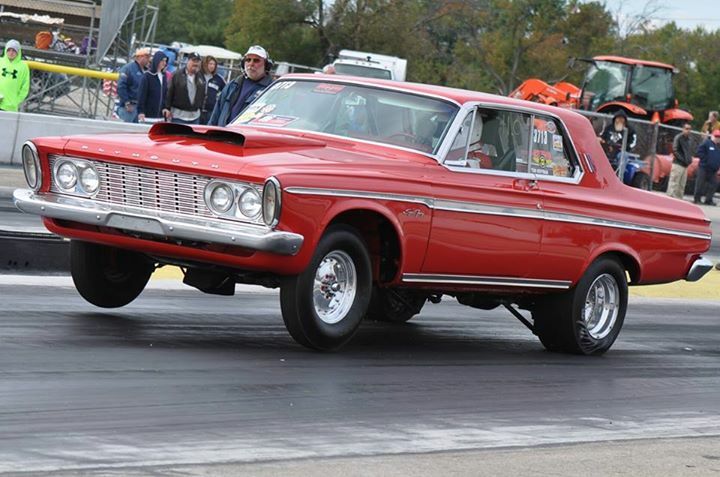 Are Dragsters allowed to race if they have a Mopar motor?